Many people struggle with prayer. This is a fact. Statements like “This is boring”, “I don’t get it”, “Do I have to?” and “God doesn’t care if I pray at home or in a Church” are commonly made about prayer, and they all belie the fact that the makers of these comments all share one thing in common – a very one dimensional and often inadequate understanding of prayer and its many dimensions, causing a blasé approach to what is really important in life. There are at least two major categories of prayer that we should be participating in on a regular basis. When we understand what these two categories are, we will be mentally fitting in and helping ourselves to tune in to what is actually happening around us. Let me explain. Liturgical prayer is the first level. This is when we gather as one body of believers in a church, often around a central altar, and make our prayer and presence an offering of a sacrifice to God for the love of him and as an act of love for the world. At the Eucharist, we join in with the prayer and sacrifice of Christ, and it is really his prayer, not so much as it is ours. When we pray the Office of the Church either as a community or privately on our own in the silence of our homes, at work desks or in a group in a chapel or a church, or even on a bus, we also pray liturgically. These are not private prayers as such, but are our living out of the baptismal covenant that we share. Because it is a prayer for the world, and not for individual members only, it becomes a salvific act, and a universal act as well. Contrast this with the other major category of prayer, which is personal, devotional prayer. This kind of prayer serves to open our hearts to the God of love who longs for our yearning for him so that we can be intimate with the giver of life and love. What makes prayer, especially liturgical prayer, both difficult to do and to appreciate is the common mistaking of one form of prayer for the other. Many will naturally feel uncomfortable and even confused when the liturgical words and community actions are deemed to be an interference, and perhaps even a hindrance to what one thinks should be simply devotional. When one is so completely happy with an empty silence of centering prayer, or praying in the solace and comforts of one’s living room, and brings this attitude into Liturgy and expects the same kind of still union on a Sunday Mass gathering, of course the ramblings of the Gloria or the badly articulated words of the Holy Holy Holy could cause inner turmoil and frustrations. What one is not aware of, is that one is actually comparing apples with oranges. The truth is, both are indeed necessary, and both need to be done, and done well. The challenge many face is that often, only one of them is done in life, and worse is when it is only done occasionally and not on a frequent and habitual basis. The priest who is a presider at Liturgy also needs to become one who is clear about not mixing up the two forms of prayer and mixes up the two by the choice and genre of music. We need to be extra vigilant in not turning liturgical services into meditation sessions, and added challenge for any preacher is to go deep into scripture and to really pray for the world. Ultimately, the test of whether we are getting it right is whether we are getting all flustered when we find ourselves upset at Mass because the tune of the Gloria is not what we deem a ‘nice’ melody, or that the actions are rather stiff and artificial, and that they don’t make one feel comfortable. It will show that we still think that the Mass is about us and how we feel as individuals. The fact is that, it is not about us. It is about what we can contribute to the well-being and holiness of the world, and how the Church continues to glorify God in worship. The concept of praying as a community during mass is easy to understand. It is comforting when I think that at any moment, there is a mass being said somewhere in the world. However, I have struggled with the concept of personal devotional prayer. I know that a) praying is not just insurance for a good day ahead and b) praying is not just silent fervent wishing for blessings and divine intervention in tricky situations. So outside of these situations, my mind hits a great mental block. Then one day, after the prayer room in my church was revamped, I thought it amusing that the priest, in acknowledgement to the difficult nature of praying told us to just go to the prayer room and 'sunbathe' there in the presence of the lord Jesus if we really didn't know how to pray. To me, your words today are an additional good starting premise to try and 'open our hearts to the God of love who longs for our yearning for him so that we can be intimate with the giver of life and love'. Even before I knew much about the mass, I have been fascinated and continue to be captivated by the celebration of the Liturgy of the Eucharist because of its ritualistic and ceremonial elements. The use of candles, incense, the special robes of the altar servers and of the celebrant, the sacred/inspired chants of the psalms and the hymns, the intense moment of Consecration... etc – all these contribute further to create a shift from the trivial into the ‘eternal’ ( or so I felt) Somehow there is an unmistakeable feeling of ‘linking’ among the participants with each other ( both clergy and laity) and with the greater mystery of the Divine – perhaps – as a result of the ritual space and experience that is created. Sometimes, an additional bonus would be a ‘riveting’ homily by the priest. So as a Catholic, I have always enjoyed a mass. My challenge was in the area of personal prayer. For, how does one go about ‘’raising one’s mind and heart to God” or have ‘communion’ with Him ( that’s what prayer means- we were told ) and the other nagging query was – Why? Why, pray by myself, isn’t it better and enough that we gather and worship in unison? A fellow QOP-er! I recall Fr Joachim Chang saying something like that at the Upper Chamber opening, though am not sure whether he's serious. Is there such a thing as sunbathing in the Lord's pressence? Sunbathing in the Lord's presence is akin to basking in His Love? Such a wonderful image it brings.. Thank you for this beautiful reflection on Prayers. Prayer in unison is indeed a wonderful feeling, even so if the spirit in the Mass is uniform. However, often, people tends to hasten the prayers as if they are in some racing competition, so to say, leaving a majority of the members lacking a few words behind. This spoils the whole beauty of the Mass. If only we can pray in unity, slowly and full clarity of every words in the prayer, we will realized the richness of every liturgy prayers. In fact, my first encounter of the beauty to pray in unity was in one of the Charismatic Rally, when all of us started to pray in tongues together. That was like all the heavenly angels and saints have descended to pray with us! You could feel yourself soaking in the love of God immediately, your spirit being lifted up. The second form of prayer, Personal, devotional prayer, as mentioned in Mt 6:6 - But when you pray, go to your inner room, close the door, and pray to your Father in secret. And your Father who sees in secret will repay you. Fr. Chris Soh during the first day of Iggy's Parish Triduum, also mentioned, where is that "quiet room" that you can do your personal prayer? It is right in your heart. By shutting our "inner door" from the outside world, only focusing on The Lord and treat Him as our Confidante, talk to Him slowly, pouring out every troubles, anguish or joy in our heart, similar to a confession. Let him understand our situations, then, quiet down and listen attentively to Him. It is only when you experience that great sense of peacefulness or the gift of tears, that you know He has heard you. 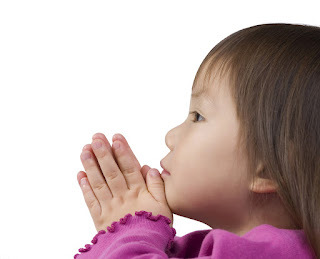 Personal prayer for me, is mostly about praising Him; about unceasingly giving thanks to God. When I reflect upon the innumerable blessings He has granted me and my family - in spite of my foolish self, I can't help but believe that God is unfair! Except that this "unfairness" is actually love in its purest form. And that's very humbling. Time and time again the human race rebelled against God in the most terrible ways. And what did He do? He gave us His only Son to be our Saviour; and the the most perfect and holy creature that ever was to be our Blessed Mother. You can't get more unfair than that.